The contact center is the primary point of contact with customers in the after-sales field, and in some cases, it serves as a point of contact in making before-sales decisions and even making some sales outright. This makes quality management in the contact center especially vital, and knowing how to address some of the most significant issues of quality in the contact center can represent new sales, kept — or even recovered — customers, and a better bottom line. Addressing issues of quality management in the contact center can deliver some significant benefits, but it's all about understanding how these issues impact operations. No One Wants to Work a Call Center Job. Less-than-pleasant working conditions, low pay, and a perception that the job itself is a career dead-end add up to make employee attrition a severe problem. There are several options to address this, including raising pay, limiting total numbers of calls handled, and instituting gamification options to take advantage of natural competitive urges. Which is best will vary by office. The Customers Aren't Happy Either. Dissatisfied customers are likely planning to leave, by some reports, and this makes first-call resolution vital. To get there, you need the best in call center agents — see the previous entry on how to get those — and you need to improve the quality and quantity of information available to those agents. Be ready to empower agents to do what it takes to satisfy a customer and if an agent ever has to explain to a caller why his or her hands are tied, scrutinize those circumstances. You Have All the Tools You Need, and Then Some. It's important to have the right tools for the job, but having them intermingled with every other tool in the hardware store will make them tough to reach when they're needed. Consider consolidation, slimming down the total tools you have on hand to focus just on what's needed. Look into new software that combines tasks and puts the right tool close to hand. These points will help you address several significant issues of quality management in the contact center. For those who haven't found their particular problem discussed, however, there's always more help available when you reach out to us at City Communications. Follow that link to check out our free download whitepaper explaining issues of cloud contact centers, then check out our other offerings to help fill in the gaps from there. Your contact center can be a powerhouse for your business, so get in touch with us to make it all it can be. When it comes time to take advantage of developments in cloud-based technology and build a cloud contact center, the good news is that there are plenty of alternatives out there to choose from. This is also the bad news; with so many options, the chance of picking a sub-optimal one increases dramatically. So how can a business make the distinction between a cloud provider that will make it rain and one with its head in the clouds? A few key points will help determine the best in the field. Knowing the difference between good and bad providers can help keep many problems from ever arising. Since you count on your contact center being operational to handle customers, that makes the selection process that much more vital to your company's health. Consider Your Needs. There aren't really “good” and “bad” providers, so much as there are ones that work better with what you need than others. Knowing just what you want to accomplish with a cloud provider can better help you distinguish among the various options in the field. For instance, some providers will put a particular premium on data security above many other attributes. Start with Cloud Native. Even as you consider your needs, it's a good plan to start your search with “cloud native” operations. These have historically worked well with cloud contact center operations. Research from the Aberdeen Group found that CLTV rates improve 17% on average, and first-call resolution (FCR) improves 10% over other alternatives. Even interactive voice response (IVR) systems get a 14% better completion rate this way. Continually Update Your Considerations. In the same way you'd give an employee a regular review, do so with your cloud provider. Determine if it's had issues in uptime availability, or if it hasn't introduced the features you're looking for. In so doing, you can tell fairly rapidly if you're not getting the most out of the cloud contact center and if you need to make changes. Picking the right provider for your cloud contact center can be a challenge, so it's useful to turn to a firm that has plenty of experience as a cloud service provider. 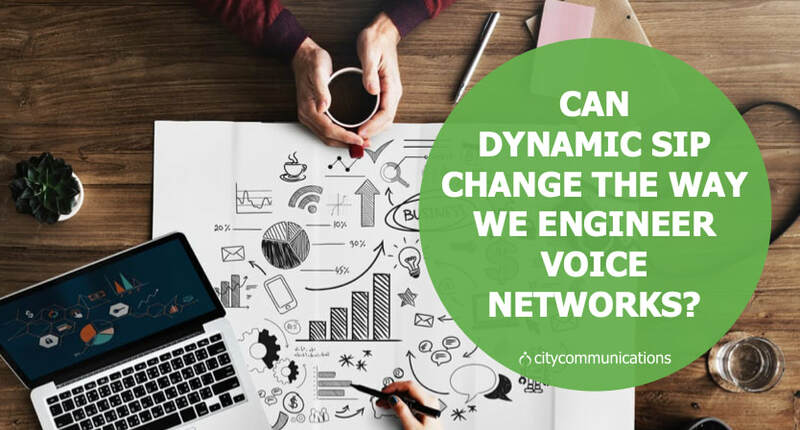 Start by getting in touch with us at City Communications. Not only do we have a wealth of cloud contact center experience, but we can offer immediate information as a free download— just click on the preceding link — that will show you exactly what we can do in response to your needs. So click the download button, and then reach out to us to make the cloud contact center process that much easier. Avaya's Cloud Service division offers SIP service in a burstable, pay-only-for-what-you-use model. Is this a visionary low-overhead and high-availability way to provision SIP trunking in your communications network? ​The most interesting aspect of this carrier SIP service was that they sell it on a metered, per-minute basis. Meaning, you don't have to contract for fixed, standby SIP trunks to connect your communications application to the outside world. You pay for SIP channels and minutes only as you need and use them. ​We then learned that this dynamic SIP service was available as a stand-alone offering (you didn’t have to be a developer to have a dynamic SIP account). Which begs the question; could our clients leverage Avaya's burstable (dynamic) SIP to gain greater bandwidth, network redundancy, and cost savings for their communications networks? ​SIP trunks (channels) are a critical piece of communications infrastructure. You cannot make or take voice calls on your business phone or contact center system without them. A correctly-engineered communications system will contain a ratio of SIP channels to system users so employees and customers will not encounter the dreaded fast-busy signal. Maybe that ratio is 8:1 (1 SIP channel for every eight system end-points). Or maybe it’s 10:1. Whatever. The art of communications-network design is getting that ratio right. ​Most systems are overbuilt and have too many SIP channels available. You pay for all those trunks regardless of whether you use them or not. You’re burning money when these resources are idle or unused. So if you need SIP, and the two ways SIP is currently sold favors the carrier, Avaya’s new pay-as-you-go pricing be a more efficient way to manage the phone calling demands of your business. It’s worth doing some analysis to find out. Dynamic SIP solves the seasonal/high-low peak infrastructure problem. ​Some companies have a drastically changing need for carrier services throughout the year. Operate a seasonal business, and the resources you need at peak could be a huge factor greater than the network you need off-season (we even have customers who completely shut down for periods of time every year). Launch a big marketing or advertising effort, and your call volume jumps significantly (for a while). So how do you manage a communications system for a business that may need a hundred lines of SIP access in July, but only one in January? ​Most of our seasonal clients contract for all the lines they need for the peak, and simply leave them idle for the off-peak need (and amortize the cost across their annual budget). Others constantly turn up and turn down services trying to capture those savings; navigating the logistical minefield of contracts, minimums, and fluctuating pricing. Dynamic SIP solves for both problems. ​With a dynamic SIP connection in place, your system can open channels for calls up to an almost unlimited quantity (bandwidth and provisioning permitting), anytime you need them. And if the service sits idle, the nominal costs are negligible. Avaya’s dynamic SIP comes with access to a powerful development sandbox. ​Clients bring us challenges all the time that no existing cloud-based phone or contact-center system can solve. They may want a unique call-flow, need multiple systems to integrate with each other, or want contact center data managed in a very specific way. In most cases, to get the job done, we either contract with the professional services group from one of the major companies to modify or integrate their products to give the customer what they’re after, or work with a developer to design an application in a development environment like Twilio. Both approaches can be costly and tricky to execute well. ​Avaya’s dynamic SIP sits inside a development environment. Because it’s designed as a service to help developers create new applications for communications systems, you get access to powerful new carrier-level features and services beyond traditional SIP. These services – carrier-level metadata and text capability at the trunk level, for example - means if your phones and underlying phone system are capable, you could add powerful new dimensions to your call-routing and system management. So, is dynamic SIP a game changer? ​It depends on your specific application and will take educated analysis, but yes, we believe that dynamic SIP is a vital new tool to help customers optimize their carrier networks. For customers paying for SIP channels that sit idle much of the time, or who buy channel/minutes bundles and have standard business usage, there is likely a cost saving. High-volume contact centers and clients with technical needs can gain access to rich carrier metadata and build amazing new workflows and applications. And clients with seasonal, or widely-varying SIP needs, can leverage the service to scale their voice networks up and down dynamically. Do any of these scenarios fit you? Can Avaya's Dynamic SIP Give You A Better Voice Network? ​Avaya's Cloud Service division offers SIP service in a burstable, pay-only-for-what-you-use model. 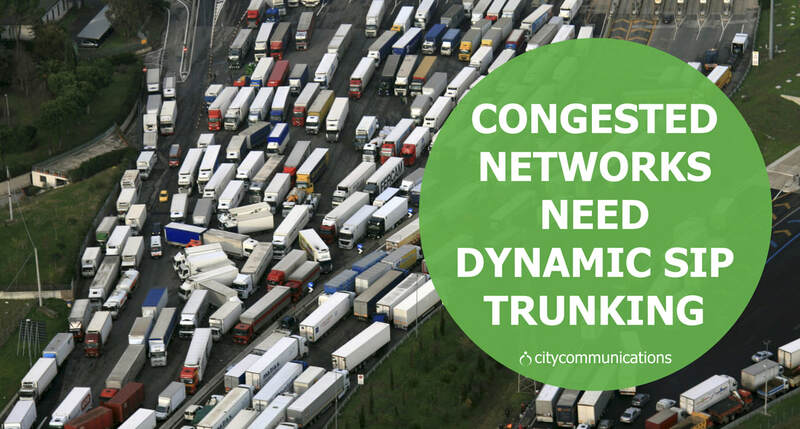 Is this a visionary low-overhead and high-availability way to provision SIP trunking in your communications network? SIP (Session Initiated Protocol) trunking is the modern telephone line, a data service that provides you with the connections to the public communications network your business needs to make or take phone calls. Chances are you’re paying for SIP service in your business in one of two ways. ​The first way is per channel. You contract with a carrier for SIP channels connected to your on-premise or cloud-based phone system. You purchase enough SIP channels to have an active phone connection for as many simultaneous calls your business needs to make. You then pay by the minute for the time you connect to domestic or international long-distance numbers (inbound or outbound). Your rate on both channels and minutes is based on your negotiating power. Alternatively, your carrier may offer a bundled SIP service; channels and (usually domestic) long-distance minutes together in packages at a flat, per-channel fee. For efficiency, carriers route all their customer’s SIP calls out to the public network on a set of carefully-managed master trunks, a pool of resources shared across their entire customer base. For stand-alone trunk customers, carriers profit by selling you capacity at the highest rate they can get from you. Unless you’re the single-largest customer they have, you are not getting their absolute best rate. For bundle customers, carriers use the law of averages to charge you a price that covers how many minutes of toll calling the average business user makes, and profits every month you don’t use all of the minutes and SIP trunks they have allocated to your account. But if the technology exists to pool resources like SIP trunks and access to the public network for calls, why do individual business customer have to pay for channels or minutes they may never use? Why do we pay for SIP channels that sit idle 90% of the time, just in case you need them in your busiest moments? Can’t an individual customer get access to a pooled SIP service on a pay-as-you-use-it basis, access SIP channels on the fly, or turn up and turn down channels only when you need them without carrier minimums and penalties? ​On a call with Avaya about their Communications Platform as a Service (CPaaS) product, we learned that to empower developers to turn up and turn down applications using their platform quickly, Avaya purchased and integrated a SIP carrier. Which means Avaya, and developers on their platform, have immediate access to provision local, mobile, and toll-free telephone numbers, as well as have SIP trunking and long-distance phone services ready to make and receive calls to and from the public network. The most intriguing aspect of this carrier SIP service was that Avaya sells it on a metered, per-minute basis. Meaning, you don't have to contract for fixed, standby SIP trunks to connect your communications application to the outside world. You pay for SIP channel and minutes only as you need and use it. Interested in learning more about how you can leverage Avaya’s Dynamic SIP to improve the efficiency of your voice network? Contact us for a free consultation. Your contact center agents face a challenge that is difficult for you, as their leader, to relieve. It’s boredom. While every manager wants a team that’s engaged and excited to be at work every day, there’s an inherent difficulty with contact center agents because what they do much of the time is routine and tedious. From answering simple questions to assisting with the payment of invoices and reordering, the calls that contact center agents field all begin to sound alike. It’s no wonder that across every industry turnover is high in contact centers with about a third of agents turning over constantly. Not surprisingly, the answer to boredom comes with new technology. While an automated telephone system can sometimes serve to only turn the boredom back on the customer, automation equipped with artificial intelligence (AI) can improve customer satisfaction and relieve contact center agents of their boredom. Cloud-based AI agents are able to handle an increasingly complex set of tasks, relieving live agents of a variety of mundane calls. AI agents can navigate items like bill payments, order status, confirmation of appointments, account updates and credit checks. All they need to complete these tasks is the ability to access your customer data and instructions on how to respond to a variety of circumstances. They need to be taught which calls to handle and which to transfer to a contact center agent. · You’ll optimize your contact center, reducing the cost of each call and speeding up resolution on more complex cases. Each agent can now be trained for skills in handling complex customer service issues, allowing you to run your contact center more effectively and efficiently. · During high-volume periods, AI agents can lighten the load for contact center agents. · When you do experience turnover, you are able to reduce the number of agents you need to replace, allowing your best, loyal talent to deliver excellent service. · With additional professional training, your contact center agents are better-prepared to handle the most important issues and ensure your valued customers remain committed to your brand. 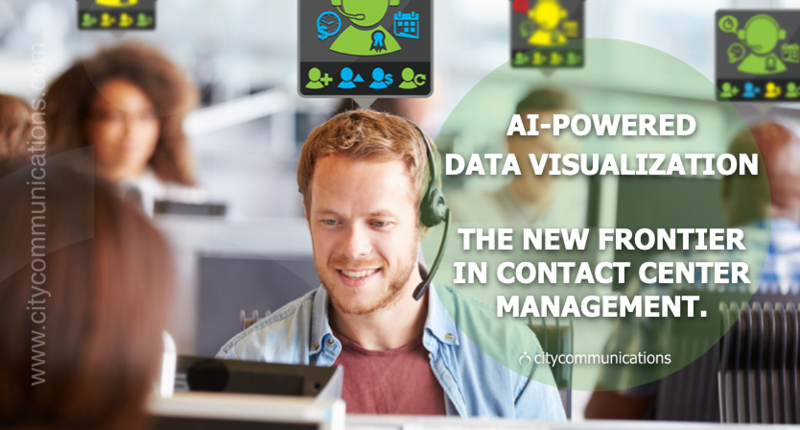 If you’ve been contemplating the implementation of AI technology into your contact center, contact us at City Communications. We can help you make the right decisions to maximize your return on investment and explore new technologies for your contact center. It's easy, in this day and age, to go at it alone when implementing new communications technology in your business. But the landscape is filled with companies shouting about how they all have the greatest solution to every challenge. And you don't always have the time to become a world-class expert in order to make the best decision. When your technology challenge is important and your priorities are pulled in several directions, it can actually make more sense to call in outside help than it does to try and function without it. When Should I Turn to Outsourced Technology Help? You want to save time. If your current IT department is stretched to the limit and hiring more staff is out of the question, outsourced technology help can be just what the doctor ordered. Since it's more of an operational expense than a capital expense—depending on how you record these expenses—hiring a service provider to solve a technology problem can be easier to get past budgeting issues than hiring employees or *buying* new systems. You want a specialist. Your IT department takes care of all the usual issues, but what if you want to ramp up your IT security? Detailing the IT department to also handle security may not only spread them thin, but they may be a bit too generalist to take care of something with so many subtle internal issues. Hiring help can allow for focus on one specific part of the operation. You want the very latest. One of the key advantages of hiring a specialist is that they have to keep up with the latest developments in a field. It's a key competitive advantage, after all, and you can take advantage of that for yourself. You want flexibility. Outsourcing technology help is not a one-size-fits-all operation. Sometimes you need someone in the office full-time. Sometimes you only need a few questions answered. Some providers, like managed service providers (MSPs), can offer more consultative technology assistance when you just need some insight help. When you're ready for the best in outsourced technology help, reach out to us at City Communications. As an MSP ourselves, we can provide both experience and expertise on a wide range of topics. We'll help keep you in the game, no matter what your reason for calling in help may be. So just drop us a line when you're ready for that little extra help in keeping your operations up and running.